Experience the swirling illusions produced by the 4M illusion spinner. View and create 3D pictures with over 20 fun optic activities packed in a neat hand carry pouch bag. 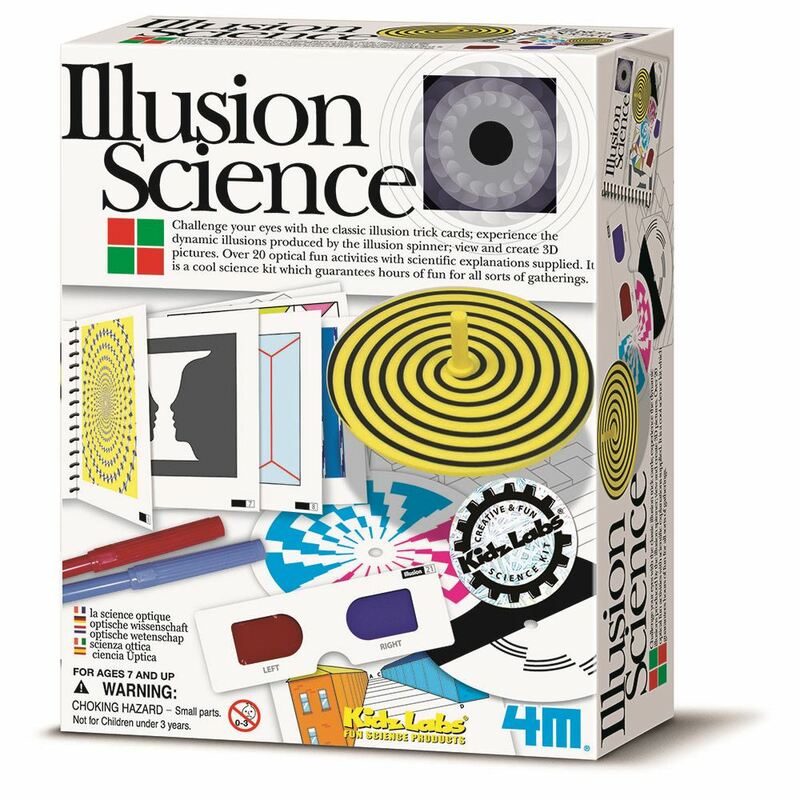 Includes: 15 illusion card tricks, 4 spinning top cards, 3D picture cards, a stencil, 2 markers for making simple 3D pictures, a 3D glass, pouch bag and detailed instructions. Age 8+ years. Part of the KidzLabs range. Distributed in New Zealand by Holdson.